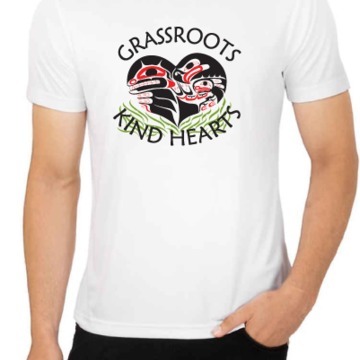 Grassroots Kind Hearts Society hasn't added a story. 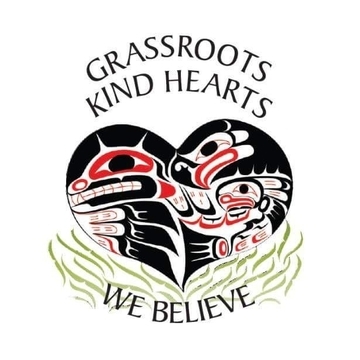 The Grassroots Kind Hearts Society was founded by Krisandra Rufus in April, 2015. It started when Rufus' nephew messaged her saying he was homeless and hungry. "So I came down to bring him some food and he had all these friends down here and I thought, 'Well, I can't just feed him, I have to feed everybody - I can't see them not eat'". Over the months, several volunteers joined the group which now serves an average of 70 people per evening or more 7 nights per week. With dedication and hard work we also became a BC Incorporated Society. In addition to the home cooked meals, the group also gathers (or purchases) seasonal clothing, sleeping bags, tents, warm blankets and provides additional supports such as 'hand-crocheted plastic sleeping mats'. We have also helped over 12 people transition off the streets and into treatment - "We Believe" is Krisandra's motto! 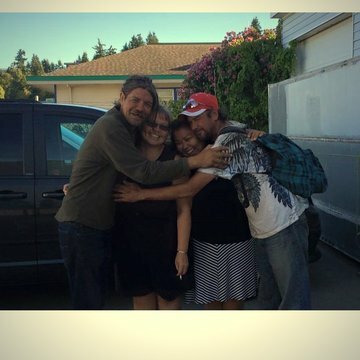 With the money raised through Crowdfunding and other fundraising activities we will continue to purchase nutritious food to feed and support our Elders, family and friends who live on the streets; those at risk of being homeless and those living in poverty conditions in Campbell River, BC. We understand that everyone is entitled to a home. We are also currently working towards securing a 24/7 facility where we can operate out of and grow into providing more resources and collaborating with other community organizations. Our goals are simple but we know the difficult challenges we have faced in continuing to provide the basics of food and advocate for a permanent building for those that often don't have a voice. All our volunteers purchase items out of their own pockets often at their own personal hardship. We are now asking that you help Krisandra Rufus and the countless volunteers of the Grassroots Kind Hearts Society continue with our vision. Please also SHARE this crowdfunding campaign and video. 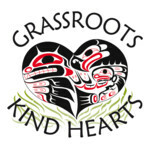 Grassroots Kind Hearts Society hasn't posted any updates yet. A personal email from our founder Krisandra Rufus or phone call thanking you for contributing in helping those living on the streets; those at risk of being homeless and those with homes who are living in extreme poverty. 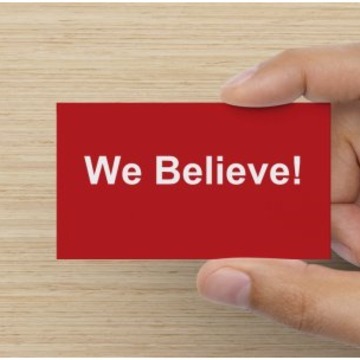 "We Believe"
A decal proudly displaying our Grassroots Kind Hearts Society logo to place on your car, at home or anywhere. Show your community we all care! 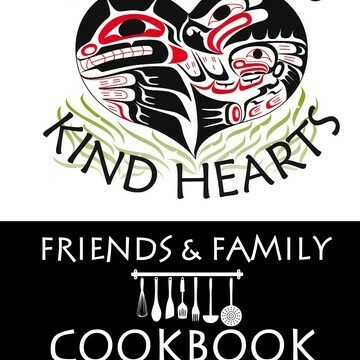 Have our peel 'n stick logo plus one of our cookbooks with many of the recipes provided by our own Grassroots Kind Hearts Society volunteers. Made with lots of love! A great holiday and gift idea! Count 'em up. 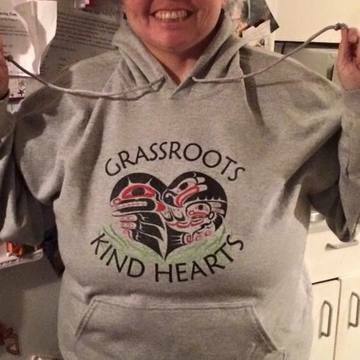 4 items: Our decal, cookbook, t-shirt and now our amazing, warm hoodies! Marketing and Promotion for YOU! A great incentive for businesses or the philanthropic individual. $500 or more has your name prominently displayed at each of our dinner services 7 nights per week, plus displayed on our website plus any media messages as often as we can and personal invitations to discuss further our important cause. Thank you, thank you, thank YOU! Grassroots Kind Hearts Society is managing the funds for this campaign.